Book Your Trip to Branson Today and Save! Branson Legends in Concert 20th anniversary lineup will blow your mind! 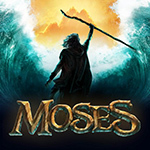 Why you'll love Branson's new stage spectacular "Moses"